Masti Ki Pathshala is an amazing concept of a classroom. 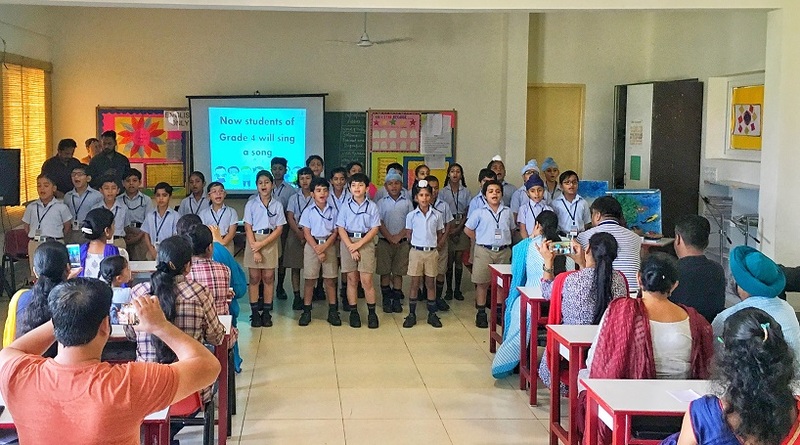 "Masti ki Pathshala" is a concept initiated by grade 3 & 4 students, in which the teachers and parents play the role of students. All the students teach their parents in their class-room in as similar a way as their teachers had taught them. They use the chalk and talk method, IT corner, the outdoor garden section, music and theatre to explain the chapter thoroughly. In the chalk and talk method, students explain the topic by writing on the green board and drawing pictures related to various terms.